Should I Juice or Eat Whole Vegetables and Fruits? Consuming fruits and vegetables is great for your body, regardless of how you consume them. If you don’t consume fruits or vegetables now, then try to add them once a week. You’ll start feeling better shortly after consuming them so try to start now. Every single fruit and vegetable counts (In a juice or whole)! If you don’t eat fruits or vegetables or your kids are picky eaters then juicing may be the answer. Juicing is a unique way to add fruits and vegetables to your diet. You can also add new fruits that you wouldn’t normally buy and create your own juicing recipes. Juicing allows your body to immediately benefit from the nutrients while removing indigestible fibers. Many vegetables have indigestible fibers and your body spends energy breaking this down instead of absorbing the nutrients. This is critical if you have trouble digesting food, such as people with malabsorption or inflammatory bowel diseases. Should I Juice or Blend My Fruits and Vegetables? Juicing and blending your fruits and vegetables are both very healthy for you. The best method for you depends on your goals. Juicing separates the pulp from the juice while blending mixes everything together. We’ve covered juicing in detail so we’ll focus on blending for now. Blended smoothies contain the entire fruit and vegetable including all of the tough fiber. However, blending breaks the fiber apart so your body can digest fruits and vegetables more easily. Additionally, the fiber is very filling so a smoothie will make you more full than a juice. This is great in the morning when you want your breakfast drink to hold you over for a few hours. One downside of blending is that it is more difficult to consume the recommended amount of fruits and vegetables. There are two reasons for this. First, you may feel full (because of the fiber) before you consume your recommended amount. Second, a smoothie consists of the entire fruit, instead of just the nutrient-rich juice, so there will be less produce in each glass. There are many types of juicers on the market and this can be overwhelming for someone new to juicing. Fortunately there are three main types of juicers: centrifugal juicers, masticating juicers, and twin-gear juicers. These juicers range in price from less than $100 to over $1000. It can be tempting to begin with a cheap juicer but this may not be wise in the long run. Cheaper juicers do not extract as much juice from fruits and vegetables so you are left with a bunch of waste and high grocery bills. Better juicers extract more juices from your produce and can pay for themselves over time. Let’s look through the different types of juicers and figure out which one is right for you. The shredder and pulp catcher are in the same area and can clog or fill up easily. The high speeds oxidize juices so they lose nutrients and enzymes. Your juices will also go bad very quickly so you will have to consume them within 15 minutes. Storage times increase slightly if you refrigerate the juice. Centrifugal juicers are very noisy. Think about how your garbage disposal or washing machine’s spin cycle sound. Very bad at extracting juices from wheatgrass, herbs, and leafy vegetables. You can find our most popular centrifugal juicer here. Masticating juicers are also known as slow juicers, cold press juicers, or single gear juicers. They use a slowly rotating auger to grind up fruits and vegetables. The pulp is pressed against a strainer and the nutrient rich juice flows out. The dry pulp is expelled through a different exit and captured in a bin. Masticating juicers spin at slow speeds (typically 40 – 80 RPM) so your juice will not be oxidized. This leaves you with a juice that is loaded with enzymes and can be stored for a day or two. Masticating juicers are great for juicing wheatgrass, soft fruits, herbs, and leafy vegetables. Additionally, the juice yield is much higher than the juice yield from centrifugal juicers so you save money on produce over time. 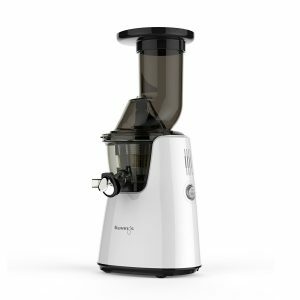 The downside is that masticating juicers are a bit more expensive than centrifugal juicers. You can find our selection of masticating juicers here. Twin-gear juicers are also known as triurating juicers. These juicers use two interlocking gears that slowly rotate and grind up your produce. 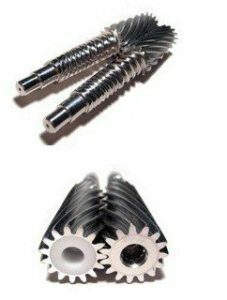 The gears rotate at low speeds (80 – 160 RPM) so you will have minimal oxidization. Twin-gear juicers will automatically grab leafy vegetables and soft produce but you typically have to push harder produce (such as carrots) towards the gears. Twin-gear juicers are great for leafy vegetables and fibrous vegetables (such as celery). A major benefit of twin-gear juicers is how efficient they are. They will extract the maximum amount of juice from your produce and expel an extremely dry pulp. Additionally, the juice is very stable and can be stored for up to three days. 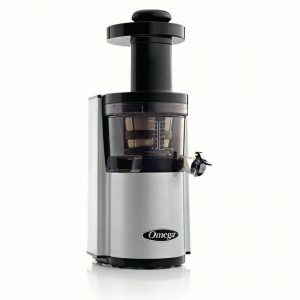 A downside of twin-gear juicers is that they are a bit more expensive and can run over $1,000. However, you will save on groceries since the juicer extracts the maximum amount of juice from all of your produce. These juicers pay for themselves over time and you will have plenty of time to drink your juice before oxidation sets in. 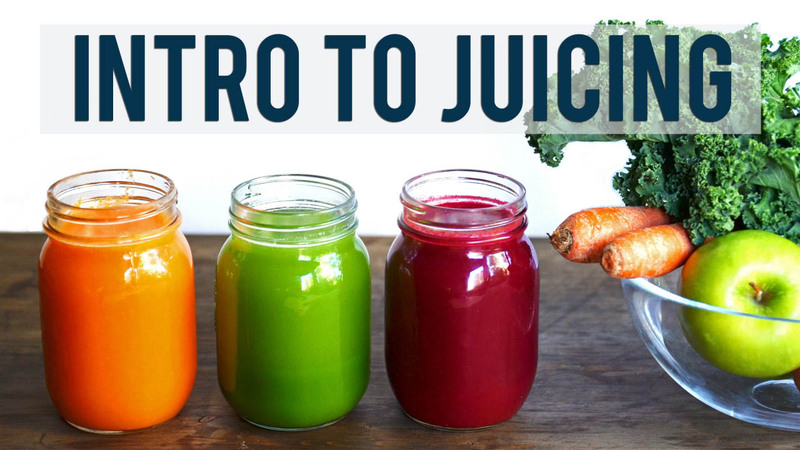 Now that you know the three main types of juicers, how should you choose one? Here are the recommended types of juicers, depending on how experienced you are. If this is your first time juicing then you should start with a masticating juicer. This will give you a good balance between price and quality. You should avoid purchasing a centrifugal juicer since they are difficult to clean and the oxidation may turn you away from juicing. We recommend the Kuvings C7000 juicer for you. The C7000 spins at 60 RPM so it is quiet and does not oxidize your juice. It also has a large feed chute to minimize the amount of time needed to chop your produce. Finally, the C7000 comes with a 20 year warranty so you can buy it with confidence that it will last decades. You can buy the Kuvings C7000 here and read a review of the Kuvings C7000 here. If you have juiced in the past, and are committed to this healthy habit, then you have two different options. You could buy a solid masticating juicer if your finances are tight. You can always start with this and save your money for a better juicer in the future. However, we recommend buying a dual-gear juicer if you can afford it. This will give you the highest quality juices and maximize your juice yield from each fruit and vegetable. We recommend the Super Angel Deluxe juicer for you. The Super Angel Deluxe is one of the top juicers out there. All of the parts are stainless steel so it will not wear out or release toxins into your juice. It spins at low speeds to maximize the amount of nutrients in your juice and minimize noises. Finally, the Super Angel Deluxe has three stages of juice extraction to ensure that you are left with the highest yield and driest pulp. 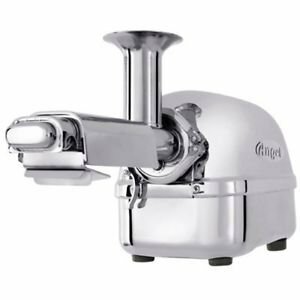 You can buy the Super Angel Deluxe juicer here and read a review of the Super Angel Deluxe juicer here. You are now pretty knowledgeable about juicers and ready to begin your juicing journey. Juicing is great for your body and you will begin to feel better as soon as you start. You can even start as little as once a week and work your way up. Please let us know if you have any questions and we will be happy to help!